Anyone who was around long enough knew something was wrong with me. I could get out of bed in the morning. I didn't sleep all the time. I didn't cry easily. Those things weren't there. But I had no energy. I wanted things to be perfect and I stressed out trying to control it all, feeling anxious and jittery while doing so. At the same time I was lethargic and felt too tired to parent my kids like I saw others parenting their kids. And I yelled. A lot. I punched the walls and slammed doors. I freaked out and lost my temper over ridiculous things. When I was postpartum with my first I asked about postpartum depression but was told that I was just overly exhausted. I just needed more sleep. More sleep helped, but there was still the anger that was always right there, right under the surface, just about to erupt. Travis took me on a walk and he told me that I was different and that he knew I could get better and that he and the kids needed me to do so. But I didn't get better. I tried praying it away. I tried confession and Mass and begging God to take it away but I also never told people, including my confessors, my husband, or even God how bad it really was. One night Travis and I watched the movie The Prestige. It's a really interesting film, very well done, starring Christian Bale, Michael Caine, and Hugh Jackman. It's about magic and morality and secrets and in it one of the characters hangs herself. I secretly watched that scene over and over again: a broken woman swinging from a beam. I was terrified by it, by how much I was attracted to it. But my real temptation wasn't a noose, it was the car. Most times I drove over a bridge I thought about just driving off. Or I thought about leaving. If I put on a movie, gave the kids some snacks and left fifteen minutes before Travis was due home from work everything would be fine. Surely everyone would be better off without me there, a ticking time bomb ready to explode. For five years my family suffered and I suffered and our home was happy-ish, but not right. And then a day came and one of my little kids made a little mistake, something so small it feels silly to even call it a mistake. But I was livid and I snapped and the magnitude of my reaction scared me. I had had enough and in my shame I reached out to my midwife, who prescribed me medication, and a group of friends, who agreed to come over during the day so I would not be alone with my children as I adjusted to the drug and took time to sleep and take care of my newborn baby and myself. I had no idea how crazy I was until I was experiencing normal again. If it was a movie that first attracted me to acting out on my depression it was a movie that helped me look back on it and see it for what it was. Since the first time I watched Silver Linings Playbook I have watched it again and again and read the novel it's based on. Watching the characters talk to one another about their meds, their mental illness, and the way they acted out because of it was healing for me. There's one scene where Jennifer Lawrence's character tells Bradley Cooper's character to "Calm down, crazy!" and that's exactly what I needed. I needed to hear people acknowledging their craziness. On this side of normal I laugh things off. On this side of normal I don't lose my temper multiple times a day, if at all. On this side of normal I don't think about leaving my family and I definitely don't think about killing myself. Even more telling, while those thoughts made me feel very little or nothing during my crazy season, to think back on them now makes me sob. I'm so grateful for where I am and what I know now. Should another pregnancy happen, my husband and I know what to watch for and I will not wait to ask for help. Turns out, it's not normal or healthy to think death and abandonment on a daily basis. It's not normal or healthy to live with your temper always about to explode. It's crazy, literally and figuratively. Thank you for this post, Bonnie. Your journey is so very similar to mine, and reading this makes me think that I may need to talk to my doctor again, as my prescription may need to be adjusted. God bless you, Angela. I hope the conversation with your doctor goes well. We deserve to be happy and healthy! I am sure this was challenging to write, to put your specific "crazy" out here. Thanks Bonnie! It's interesting. It's hard, for me, at least to know the difference between, 'things are just really hard' and 'my emotions are off' - and, 'it's not okay to be thinking about leaving all the time' and 'i can't stop yelling at my husband/kids'. thanks for sharing. Well, two signs I ignored over and over again were#1 that Travis and my mom talked to me about my behavior and how it was affecting the kids. If other people are intervening then we don't have to be able to tell the difference. I should have done something then, but honestly I was too proud to make the call myself, though I wanted Travis to make the appointment for me. And #2 that things were maybe better for a day or even a couple of days but the theme of the weeks and months were that I was yelling all the time. I think that even something like a progesterone cream has helped a lot of women for even 6wks or 3 months - nothing as long-term as the pills I took for a good year, but something small that made a huge difference. Pregnancy and postpartum do crazy things to our bodies, and I now think it's okay to help ourselves through those things instead of assuming it's just a part of pregnancy and we need to just put up with it. Most times I drove over a bridge I thought about just driving off. Or I thought about leaving. If I put on a movie, gave the kids some snacks and left fifteen minutes before Travis was due home from work everything would be fine. Surely everyone would be better off without me there, a ticking time bomb ready to explode. This is me. You have no idea how much this post helps me. I've just started to take steps to get a handle on things (seeing a therapist, and have an appointment with my pcp tomorrow to discuss meds). Thank you so much for sharing this. God bless you, Layla. I hope you are feeling better incredibly soon. So sorry you experienced this. 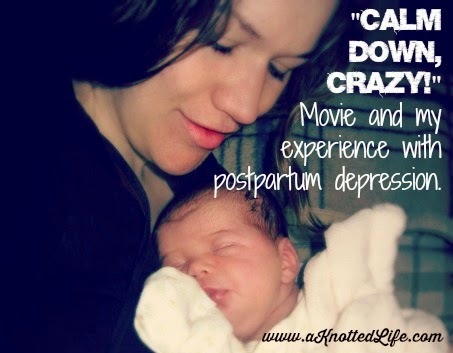 I have had postpartum depression with 3 out of my 5 children. I had the same thoughts of driving off a bridge that you described. I was on sleeping medication since I was having insomnia, I was depressed and having anxiety so that I was not able to be alone with the baby (this baby that I had longed for though 2 miscarriages and a year of infertility). I even thought about leaving the baby at church thinking a good family would take her in. Thanks for talking about this super important topic! Bonnie, I have found your blog so helpful on many occasions and this is one of them. Thank you for being so brave and sharing your story. I'm still in the midst of mine - it is so wonderful to hear testimony from the "other side." Beautifully written Bonnie, as always. As a therapist I can tell you that we all have at least a bit of crazy in us. I continue praying that the stigma of mental health treatment fades away so that people will feel comfortable getting treatment when needed. 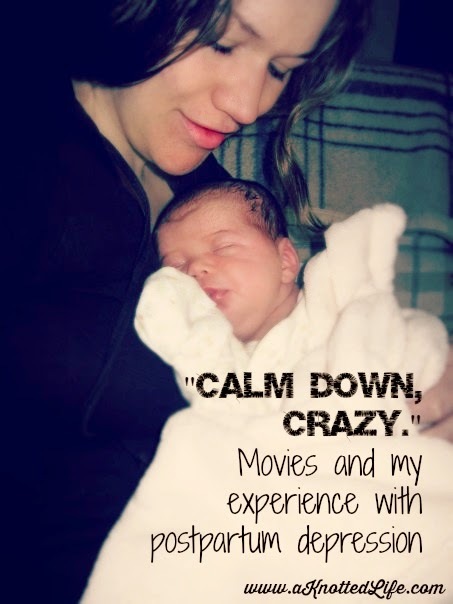 I have talked with many post-partum mothers that didn't realize that they were experiencing something that was not normal. Some of the doctors around here recognize it better than others (or don't discount it). I am proud of you for putting yourself out there! i had severe birth trauma so ppd wasn't even a question -- it was a serious assumption. when i went to my doctor a week post-birth (right after i was finally released from the hospital) and asked to please up my anti-depressants to pre-pregnancy levels and prescribe me something to seriously kill every anxious thought, her reaction was, "not a problem. i'll have my nurse call it in immediately. do you need anything else to get through right now? do you need a referral to a therapist?" Jen, that is so great that you had that kind of support and response. I was so afraid, for so long, of what it meant to have to be on medications - I'm so glad that you didn't have that fear. All I know to say is I'm so sorry Bonnie. I've heard of people struggling with ppd but I've never experienced it myself and hearing testimonies about it makes me so sad. Thank you for writing yours. It helps me become more aware of fellow moms and even myself after birth and I know that so many women will read this and find your shoulder to lean on. Thank you so, so much, Bonnie!!! Thank you so much for writing this Bonnie. Your courage and vulnerability are inspiring! I know that at my lowest I kept hoping that I would be killed in a car accident then my family would be able to get life insurance money and be better off without me. I'm so, so grateful not to be in that place anymore. Now I want to go see Silver Linings Playbook. I know it has been really helpful to me to have friends who understand the struggle and are managing their own unique blend of crazy too. Beautiful picture of you and your baby! God Bless! Bonnie, thank you for, once again, sharing your beautiful self. This post is so very helpful. I love that movie too and am curious about the read now. I had a very hard time after my oldest given we ended up with a c-section that just left me very broken as well as the undiagnosed thrush I had for 2.5 months (allll the painnn). I struggled with all the feels but somehow managed to keep my people close. The thing about this post, is you just never know when your time may come. After the first? the third? fifth baby? It can come to any and after any/all pregnancies. Thank you for this. Thank you so very much. and Hugs to you! I liked the book a lot and if you liked the movie then I suggest you try out the novel. It's different from the movie, of course, but I really liked seeing more of the characters. Hi Bonnie. Thank you for sharing your story. So, do you think you would start on PPD medication straight away if you (theoretically) had another baby, or wait to see if your symptoms develop? I KNOW I had terrible PPD after my two boys, and got no help. It lasted for as long as I breastfed so well over a year for both. I am wondering how to tackle the period after this coming baby. My husband and I have discussed this a lot, and it's something I've spoken with me midwife about, and we would wait for symptoms to begin. I'm pretty sure I'll need meds again, but I'm also a believer in not taking meds you don't need. If I become pregnant and instantly find myself yelling and anxious and angry, well right away I'd call my midwife. But if I can go 3, 5, 9 months without meds, well all the better. I am NOT recommending this across the board, especially because I don't think all women have issues while pregnant, but I know it's an issue for me. This is something that my husband and I know what I'm like when I'm not crazy and we know what I'm like when I'm starting to go down that path. He's around a lot, as is my mom, and so I feel like we have a good checks-and-balances system set up. All that being said, I'm pretty sure that once I gave birth I would take some, at least a low dose. This was me!!! I needed meds and suffered for a full year after my fourth. Nervous about another baby- how do meds and nursing work?? Meds and nursing worked really well for me. I had no issues and nursed JP for many months while on meds. There may be cons to it, but when you sympathize for the women who drown their children in the bathtub (as I did - isn't THAT scary? But I just understood how crazy they were), well the pros of PPD meds FAR out-weigh those cons. 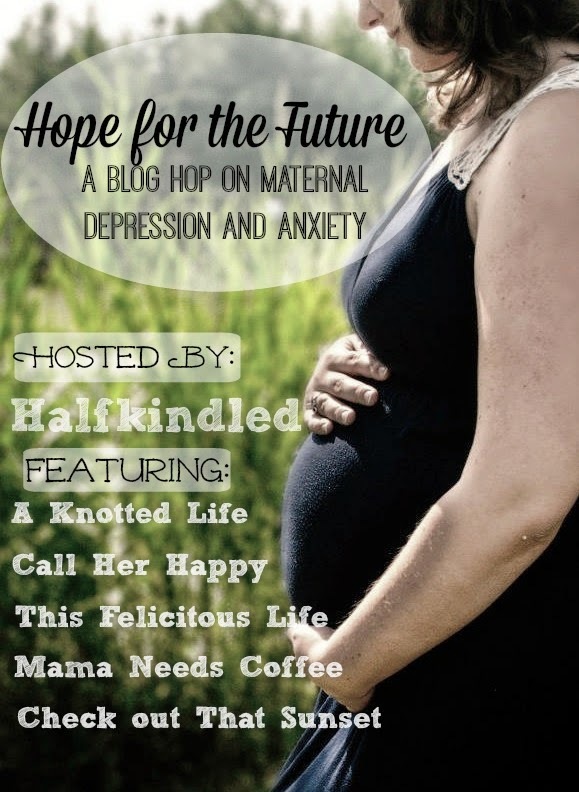 I was definitely depressed during my last pregnancy. It was a tough pregnancy, winter, and I yelled way to much at my kids. I knew I was depressed and I should have done something about it. I feel much better not being pregnant anymore. Sometimes it's hard to tell if I'm feeling depressed or if I'm just so overwhelmed because my 3 yr old is a strong willed child and makes accomplishing anything near impossible. Think: screaming crying 2 yr old because the 3 yr old won't share. I wish this parenting thing was easier. Thank you for your honesty and bravery sharing on this topic! I had a difficult time after my first child was born, on a number of fronts (nursing and baby-weight issues, emotional stress, etc.). The second time around I tried placental encapsulation; it's anecdotal evidence, but I thought things were much improved from the previous postpartum experience. If I'm not mistaken, I *think* one of the purported benefits is potential reduction of PPD symptoms since taking the capsules adds back to the hormone levels that are dramatically dropped right after the baby is born and placenta is delivered. I know everyone's situation is different, so I'm just mentioning it as something I think may have helped in my situation. "I had no idea how crazy I was until I was experiencing normal again." Because after my daughter was born my PPD got worse than it ever had been and this is exactly what I thought after I finally got put on celexa and started feeling better. I was shocked that I had been acting so not like myself and not truly registered how abnormal it was. This time around I'm already planning to just get on celexa as soon as I give birth given my track record. I wish I could find someone who could test my progesterone and monitor injections postpartum if needed because I suspect low progesterone might be one reason behind my PPD. Unfortunately my obgyn office still thinks the "rhythm method" is what Catholics use and don't know what NFP is, so I doubt they'd be helpful in identifying or treating progesterone issues.